Every morning before Bud’s Warehouse opens, the staff gathers together for classroom-style trainings. These trainings range from personal finances to interview skills to operating a computer. The trainings are an essential part of our mission at Bud’s and one way we help disadvantaged job seekers gain new skills and work towards long-term employment. This morning we took a quick break from our current training subject (credit repair) to vote on the entries we received for our recent customer project contest. We’re happy to announce our winners and share their work with you! Our first place winner and recipient of a $100 Bud’s Warehouse gift certificate is Craig. 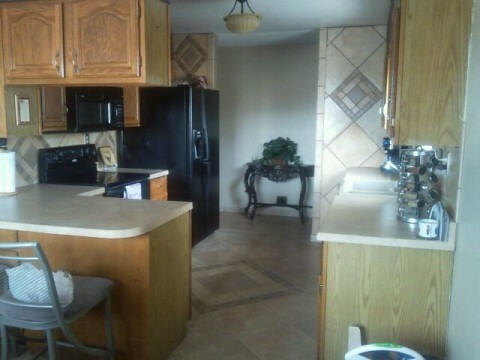 He sent us pictures of the interior and exterior of his home, which he improved with new tile, cabinets, countertop, stove a new door and exterior stone. Our staff was impressed by the creativity and overall breadth of the project! 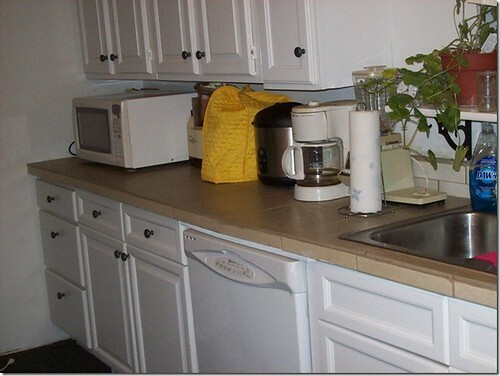 In second place and winner of a $50 gift card is Pat’s remodeled kitchen featuring tile counters and oak cabinets from Bud’s. 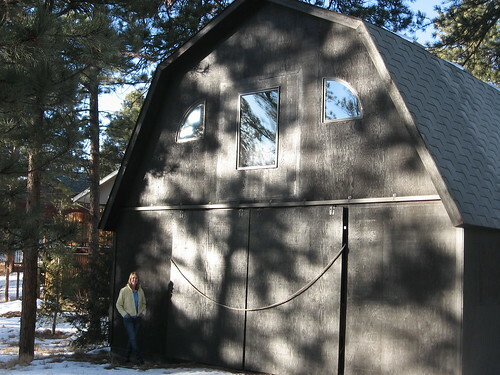 And our third place, $25 gift certificate winner is the happiest barn you’ll ever see! Gary says they initially passed on the quarter-circle windows, but eventually decided it would be the perfect touch for his wife’s barn-turned-art studio. We all agreed they were a great fit. Thanks to everyone who submitted photos. For a complete set of project pictures see our Flickr gallery from the project. Stay tuned for more opportunities to win from Bud’s Warehouse.